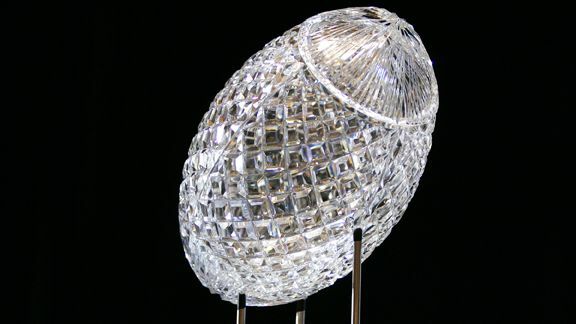 Now let’s look at the roads each team has left to travel in their quest to play for this year’s crystal football. Alabama: Remaining Schedule: #15 Texas A&M (home), Western Carolina (home), and Auburn (home). BCS Champ Chances: Alabama (much like last season) is as close to a championship lock as it gets. The Tide have been rolling all season long and look poised to return their third BCS National Championship in four years. With Play-makers like QB A.J. McCarron, T.J. Yeldon, and CB Dee Milliner, Bama seems unstoppable at this point and could very well earn the SEC it’s unprecedented 7th straight BCS title. Potential Roadblock: The only road block I foresee is the Tide’ upcoming bout with A&M. The Aggies have played tough in their first year as an SEC newbie and could give Bama a fight early. But I believe the Tide will roll on and make it to the ship. Kansas State: Remaining Schedule: TCU (away), Baylor (Away), and #17 Texas (home). BCS Champ Chances: I think K-State actually has a chance to run the table and has a legitimate shot at making the championship game. The Wildcats should be able to handle a pair of Big-12 road games against the Horned Frogs and Bears and has home-field advantage against the Longhorns. Potential Roadblock: The only pothole I see stopping Kansas State from running the table is no doubt their finale against Texas. The Longhorns are certainly good enough to upset K-State. That game will come down to how the Defense handles Wildcats QB Collin Klein (pending he’s back and healthy). Sadly even if they win out, I don’t see them outranking Oregon at seasons end. Oregon: Remaining Schedule: California (away), #14 Stanford (home), and #11 Oregon State (away). BCS Champ Chances: The Ducks can certainly dump on the points (as exampled against USC in a 62-51 W) and the USC game has been the closest contest they’ve had all year (11pts). Oregon has a tough finish with two ranked opponents to close out the season. But if the SEC has taught us anything, speed kills and the Ducks have lightning in a bottle with guys like RB De’Anthony “Black Mamba” Thomas. I see the Ducks quacking there way into the BCS National Championship game. Potential Roadblock: Oregon should have no trouble with Cal or Stanford. The only thorn in their side I see is Oregon State at the end of the year. The Beavers could play BCS spoiler for the Ducks. They’ve upset USC and other Pac-12 company before in past seasons. However, as stated above, the Ducks should cruise to a championship. Notre Dame: Remaining Schedule: Boston College (away), Wake Forest (Home), and USC (away). BCS Champ Chances: While ND does have a good chance to go undefeated I don’t see them getting the at large bid and don’t see them outranking K-state or Oregon at seasons end. Basically a lot would have to happen for the Irish to make it to Miami. Both Oregon and Kansas State would have to lose and I just don’t see that happening. Potential Roadblock: As mentioned above there are a few bumps that will keep the Irish out of this year’s BCS title game. Dame should beat BC, and Wake as USC would be the only potential loss that would certainly keep them out of the race. I see Notre Dame in one of the big four BCS bowls, just not “The Big One”. 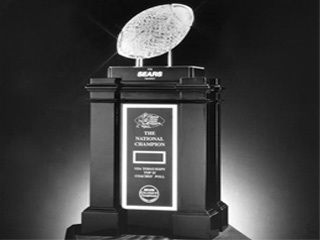 BCS National Championship Bold Prediction: With all that said, I predict, well, a predictable title game this year. I have Alabama taking on Oregon for all the BCS marbles in Miami and will boldy choose the Oregon Ducks as your National Champions beating Bama 24-21. Your Thoughts: What do you think will happen? Who do you have winning it all? Leave a comment below. 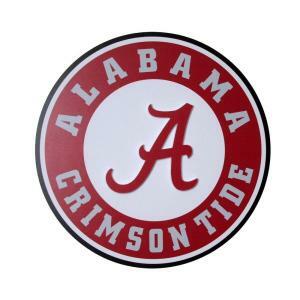 This entry was posted in College and tagged AJ McCarron, Alabama, BCS National Championship, Black Mamba, Coaches Trophy, college football, Collin Klein, De'Athony Thomas, Dee Milliner, Kansas State, miami, notre dame, Oregon, TJ Yeldon by tsmithbsb29. Bookmark the permalink.